The I-O 3235 DIMM/Flash is an HP LaserJet compatible, Dual Inline Memory Module or flash memory card. The I-O 3235 DIMM/Flash provides seamless AFP/IPDS printing from AS/400, iSeries, eServer i5 and S/390; zSeries hosts to HP LaserJet printers. Twinax to Parallel or Serial. The I-O 4440 BarCode Interface is the ideal twinax/coax connectivity solution for bar code label and other specialty printers. Due to its unique support of proprietary label printer languages, the I-O 4440 is extremely easy to set up and offers unsurpassed communication with the attached printer. The I-O 5430e print server connects ethernet a single printer via a parallel (PCL) port. The I-O 5430e provides seamless Host to LAN printing from AS/400, iSeries, eServer i5 and S/390 zSeries hosts, as well as printing from Windows, Novell and Unix systems. The I-O 5430B/31B print servers connect a single bar code or label printer via a parallel (PCL) port (30B) or a serial port (31B). The I-O 5430B/31B provides seamless Host to LAN printing from AS/400, iSeries, eServer i5 and S/39o zSeries hosts, as well as printing from Windows, Novell and Unix systems. The I-O 5435e provides Advanced Function Printing (AFP) using IBM's Intelligent Printer Data Stream (IPDS). It connects one printer via the parallel port. The I-O 5435e provides seamless AFP/IPDS printing from AS/400, iSeries, eServer i5 and S/390 zSeries systems. It also supports printing from Windows, Novell and Unix systems. The I-O 5435dp connects a single Canon imageRUNNER printer to an IBM AS/400, iSeries, eServer i5 and S/390 zSeries Host via a parallel port. In addition to providing AFP/IPDS support, the I-O 5435dp supports Canon's value added finishing features. The I-O 5435dp also supports printing from Windows, Novell and Unix systems. The I-O 5735e printer gateway connects a single printer to an Ethernet network, using the printers built in network adapter. The I-O 5735e provides seamless high speed AFP/IPDS and SCS printing from AS/400, iSeries, eServer i5 and S/390 zSeries hosts, as well as printing from Windows, Novell and Unix systems. The I-O 5755e printer gateway connects up to three printers to an Ethernet network, using the printers built in network adapter. The I-O 5755e provides seamless high speed AFP/IPDS and SCS printing from AS/400, iSeries, eServer i5 and S/390 zSeries hosts, as well as printing from Windows, Novell and Unix systems. The I-O 5735dp printer gateway connects a single printer to an Ethernet network, using the printer's built in network adapter. The I-O 5735dp supports Canon's value added finishing features, and provides seamless AFP/IPDS printing from AS/400, iSeries, eServer i5 and S/390 zSeries hosts. The I-O 5735dp also supports printing from Windows, Novell and Unix systems. The I-O 5755dp printer gateway connects up to 3 Canon imageRUNNER printers to an Ethernet network, using the printer's built in network adapter. The I-O 5755dp supports Canon's value added finishing features, and provides seamless AFP/IPDS printing from AS/400, iSeries, eServer i5 and S/390 zSeries hosts. The I-O 5755dp also supports printing from Windows, Novell and Unix systems. The I-O 5735km printer gateway connects a single Kyocera printer or MFP to an Ethernet network, using the printer's built in network adapter. The I-O 5735km supports Kyocera's finishing features, and provides seamless AFP/IPDS printing from AS/400, iSeries, eServer i5 and S/390 zSeries hosts. The I-O 5735km also supports printing from Windows, Novell and Unix systems. The I-O 5755km printer gateway connects up to 3 Canon imageRUNNER printers to an Ethernet network, using the printer's built in network adapter. The I-O 5755dp supports Canon's value added finishing features, and provides seamless AFP/IPDS printing from AS/400, iSeries, eServer i5 and S/390 zSeries hosts. The I-O 5755dp also supports printing from Windows, Novell and Unix systems. The I-O LAN RPC Print Server protects your investment in reliable legacy system printers when migrating to TCP/IP Ethernet. 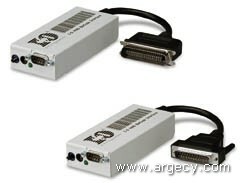 It allows twinax or coax IPDS, SCS, or SCS/DSC printers to be connected to an Ethernet network. Once connected through an I-O LAN RPC the printer can be addressed from an IBM AS/400, iSeries, eServer i5 and S/390 zSeries host. The I-O LAN RPC also supports printing from Windows, Novell and Unix systems. 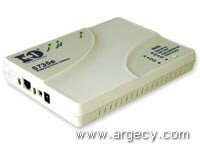 The I-O 5794ip Controller connects IBM and IBM compatible Twinax display stations and printers to an AS/400, iSeries and eServer i5 via TCP/IP over an Ethernet LAN. Positioned as a cost saving device, the I-O 5794ip Controller protects the investment made in legacy twinax displays and printers. The I-O 5794ip Controller can be installed in a local Ethernet environment eliminating the need for an expensive Twinax Work Station Controller. Twinax devices are simply connected to the 5794ip via existing Twinax cabling. The I-O XIP+ Twinax Controller connects IBM and IBM compatible Twinax display stations and printers to an AS400-iSeries-System i host via TCP/IP over an Ethernet LAN. 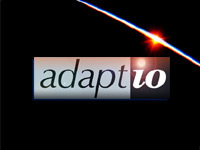 The Xip+ is ideal for those who are migrating to a new power7 TCP/IP only system.